The release of Marvel’s Spider-Man is nearly upon us and the hype refuses to die down. How could it, though? Review scores have recently gone live and the critical response is overwhelmingly positive. Our review of the Insomniac title praises Spider-Man’s emotional story, incredible open-world, and more. 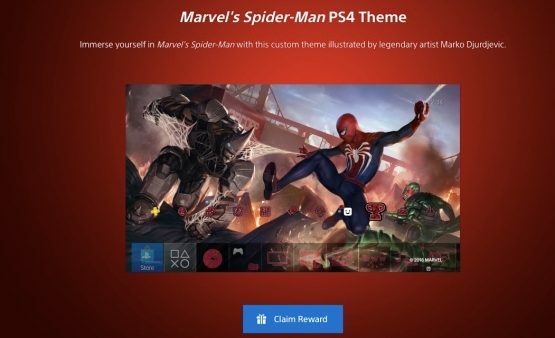 To add to the excitement, Sony and Insomniac are allowing gamers to download a free theme for PlayStation 4. Accessing a code for the theme is easy. 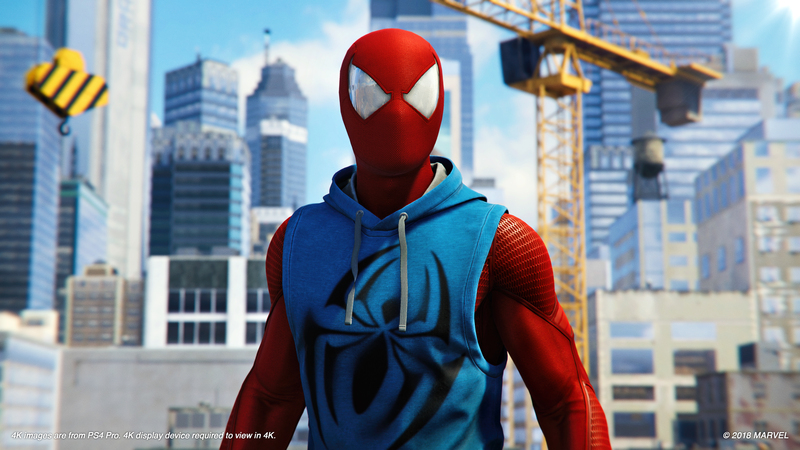 Visit the Marvel’s Spider-Man portal on PlayStation.com, scroll down until you spot the “Giveaways” section, and click on the blue “Claim Reward” icon. Afterwards, you’ll be prompted to sign into your PlayStation Network account. Once that’s out of the way, a code will appear. It’s a static theme, meaning the image never changes. However, the art itself is more than worth marveling at (pun somewhat intended). Marko Djurdjevic, an illustrator who’s drawn for Spider-Man, Daredevil, Thor, and several other Marvel heroes, illustrated the custom theme. Djurdjevic’s beautiful art depicts Spidey going toe-to-toe with the Rhino. Meanwhile, Scorpion lurks behind the two combatants. The sounds that power the theme are also incredible. From the webslinging thwips that sound when scrolling down the home screen to the heroic music that swells in the background, this theme is instantly a new favorite. Marvel’s Spider-Man swings on the PlayStation 4 on September 7, 2018.